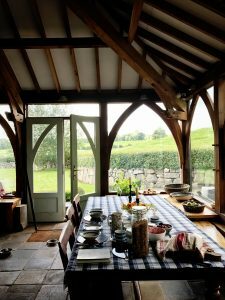 Unblock your creativity, build focus and vision for your writing on Aurora Writers’ restorative creative writing retreat in the heartland of rural Ireland. Join author Noelle Harrison in a celebration the Old Norse Festival of Vetrnætr / Winter Nights through a series of creative writing workshops specially designed to inspire and strengthen creativity as autumnal days grow chillier and we prepare for winter. 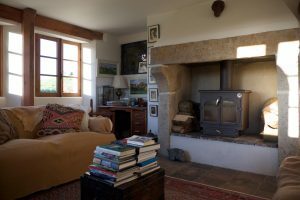 Our Autumn Creative Writing Retreat is a fun and creative weekend suitable for all those who wish to write whether beginners or more experienced. 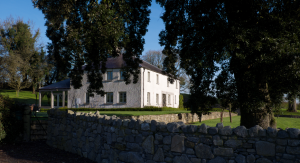 Just an hour’s drive from Dublin, the two-night retreat focuses on the craft of short story writing using Crossdrum Lodge, its art collection and its natural surroundings as a source of inspiration. Crossdrum Lodge is an 1826 Georgian Gate Lodge, full of charm and character with a warm welcome set in the tranquil surroundings and rolling farmland of County Meath in Ireland. Just an hour from Dublin Crossdrum Lodge is close to many lakes, Ireland’s largest beech wood and the ancient megalithic site Loughcrew with its 5000 years old burial chambers. 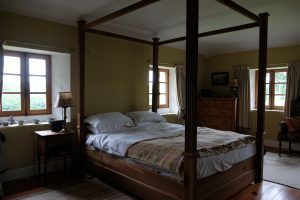 Crossdrum Lodge has been authentically renovated by owner Jill Wright, furnished with traditional Irish farmhouse furniture, and an eclectic collection of art and memorabilia from her travels. 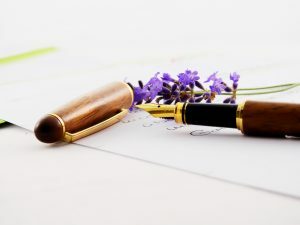 Our aim is to create a welcoming, intimate and peaceful environment where you will feel at home and also inspired to write. Crossdrum Lodge will be a dedicated space for the writing retreat over the course of the weekend. 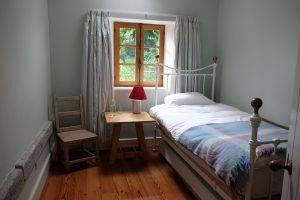 We have two double, and two single bedrooms available for our retreat participants. In the spirit of our writing endeavours the rooms are all named after famous Irish women writers and each one is as unique as its namesake. Breakfasts, lunches (on Saturday and Sunday), dinners (on Friday and Saturday) and tea and coffee throughout the stay will be provided. Residents can choose from a single room, double room for two or single occupancy double room, all with shared bathroom. Home-cooked Vegetarian wholefood meals (with Vegan options) will be provided by our host Jill Wright, using seasonal ingredients and vegetables from her country garden. Jill has previously run her own market stall selling home-baked pies, breads, cakes and preserves. All meals will focus on natural and home-grown produce. Vegetarians, vegans and those with allergies can be catered for. We do not provide wine or any alcohol with meals, however participants are welcome to bring their own bottle of wine, or to contribute to the cost of any wine we share at mealtimes. 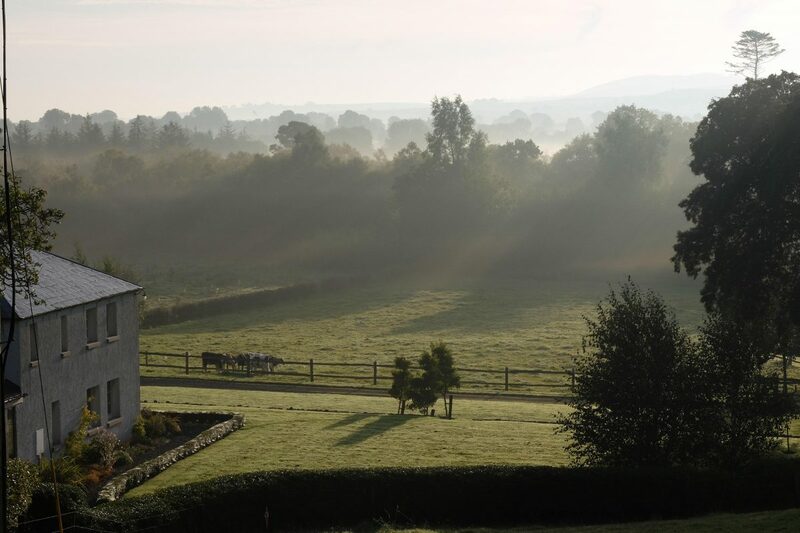 Crossdrum Lodge is an hour’s drive from Dublin, near the town of Oldcastle in County Meath. We can provide location details once your place is booked. The closest public transport link is by Bus Eireann from Dublin to Kells. Pick up from Kells is 25 euros by taxi which we can organise if you let us know what time your bus will arrive. Noelle Harrison is the Irish author of eight novels, and has been translated into over 13 different languages. 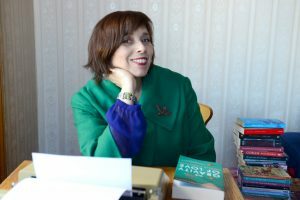 Her new novel, The Gravity of Love, has just been published by Black & White Publishing, and her short stories have been published in Lines of Vision, Irish Writers on Irish Art, and in Gutter Magazine of New Scottish Writing. She has won The Meath Chronicle Short Story Award, and has been shortlisted for the Molly Keane Short Story Award, and The Hennessey New Irish Writing Short Story Award. Noelle has extensive experience of teaching writing workshops in Ireland, Scotland, Norway and London, is a founder of Aurora Writers Retreats and a professional member of the Irish Writers’ Centre. 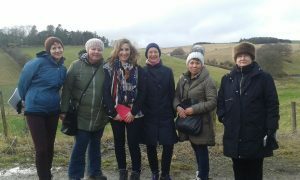 In February 2017, Noelle co-hosted Aurora Writers Retreats First Days of Spring Writing Retreat in the Scottish Borders. In November 2017, she ran the popular Picture This! 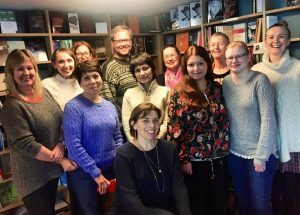 weekend workshop at Litteraturhuset in Bergen in Norway, and in February 2018 and April 2018 she co-hosted our Yoga & Creative Writing Retreats in Edinburgh with Vanessa Rigby. 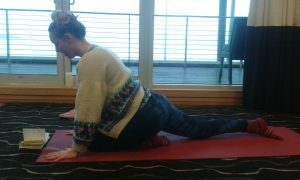 Having lived in Bergen for several years, Noelle now lives and works in Edinburgh in Scotland. Oldcastle, and Crossdrum Lodge hold a special place in Noelle’s heart as she lived in the area for over 12 years, and drew inspiration from the surrounding landscape for her early novels. 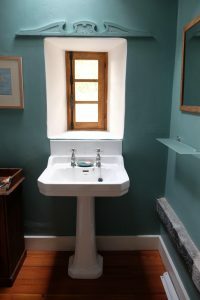 Jill Wright has transformed Crossdrum Lodge from an abandoned and derelict house into a sympathetically restored 19th century Lodge house with a welcoming and quirky ambience. There really is nowhere else quite like it! 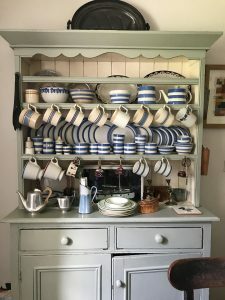 Jill’s eclectic and fascinating collection of memorabilia and artworks is testament to her extensive travels and provides an environment for our workshops brimming with inspiration. 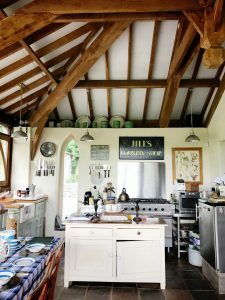 As our cook for the weekend, Jill is a keen gardener growing all her own vegetables, and has previously run her own market stall selling traditional pies, breads, cakes and preserves. She is a book lover and you will find shelves stuffed with books all over the house. Additionally Jill loves photography, cycling and swimming in the local lakes. She is a fountain of knowledge for those who wish to explore the locality. 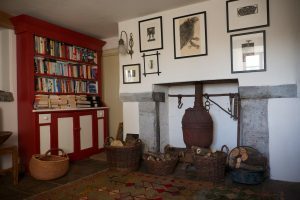 Our two-day Lughnasa Creative Writing Retreat focuses on the craft of short story writing using Crossdrum Lodge, its art collection and surroundings as a source of inspiration. 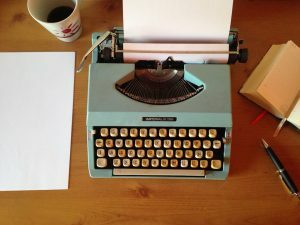 It will be a fun, and creative weekend suitable for all those who wish to write, whether beginners or more experienced. The weekend begins with a workshop designed to unblock creativity with the Celtic Festival of Lughnasa as its focus. Following this each participant will select a visual prompt from Crossdrum Lodge as a starting point for their creative work. Under Noelle’s guidance, participants will learn the basic elements of how to structure their short story, find their voice, and write with heart. They will be encouraged to draw from the prompt their own vision. To develop not only characters but use colour, composition, style, and setting as a source for their own story. There will also be time to reflect in nature, and draw inspiration from the rural surroundings. 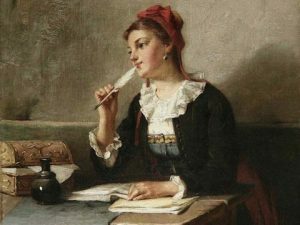 It is envisaged that by the end of the course each participant will have created or be on their way to creating their own unique short story. Arrival from 4 p.m onwards: Noelle & Jill will greet resident participants. During this time residents are welcome to relax in Crossdrum Lodge or explore local surroundings. Before dinner, our official Welcome & Introductory Creative Writing Session for resident participants with Noelle. After dinner, time to relax in the sitting room, or optional personal time for writing. After breakfast, the day opens with a workshop designed to unblock creativity. 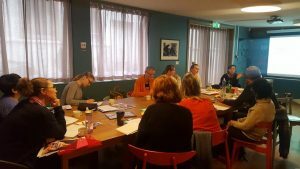 After a short break, the second workshop will look at how to get ideas for stories during which participants will select a visual prompt for the weekend from the collection at Crossdrum House. There will be an optional walk in nature (weather permitting) before lunch to discuss ideas or personal time for reflection and note-taking. After a break for lunch, Noelle will facilitate Part One of her workshop Finding Your Voice which will focus on Narrative Voice, as well as defining the pivotal Character, Setting or Object of each story. After a short- tea break, Noelle will lead Part Two of Finding Your Voice which will focus on how to structure your short story, and employ literary devices. Before dinner, there is personal time to work on your short stories or ask Noelle for any guidance on your writing. After dinner is set aside for relaxing, or again you have the option for personal time for writing. After breakfast, Noelle will facilitate the Workshop Writing with Heart Part One which will look at working with Tone / Rhythm, and descriptive language. After coffee break, Noelle will conclude the second part of Writing With Heart focusing on using symbols /images /metaphors to create depth to your story. After lunch we will conclude the retreat with a final workshop sharing experiences from the weekend and next steps with our writing. During the whole weekend, Noelle will be available to give feedback on an individual basis and to guide you in the creation of your short story. There will be opportunities for sharing work but this is optional and not a requirement. The ultimate goal is that you will have written your own short story by the end of the weekend. Offline Option undisturbed writing time! The secluded location of Crossdrum Lodge ensures participants have the chance to opt out of social media for the weekend. (Highly recommended!) If you do want the option of checking online, we advise you to bring your own mobile wifi to stay connected. Please note our Autumn Writing Retreat is suitable for adults only. The intimate environment of Crossdrum Lodge and its collection of art objects makes it unsuitable for children. Crossdrum Lodge will be a dedicated space for the writing retreat over the course of the weekend. 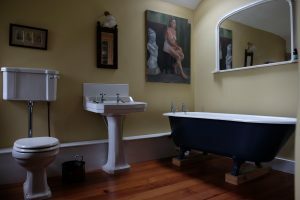 We have two double, and two single bedrooms available for our retreat participants. 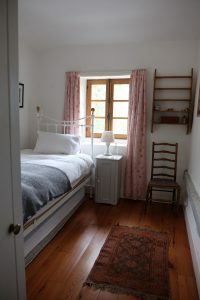 In the spirit of our writing endeavours the rooms are all named after famous Irish women writers and each one is as unique as its namesake. 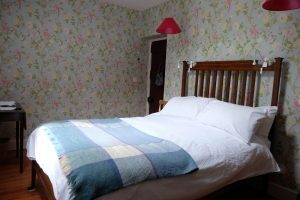 Residents can choose from a single room, double room for two or single occupancy double room, all with shared bathroom, or a double room for two or single occupancy double room with en suite bathroom. We have six residential places on the retreat. Book early to avoid disappointment & take advantage of our Early Bird discounts! Email: noelle.harrison5@gmail.com to reserve your place. 744 for two /480 for single occupancy. Early Bird Rate: 676 for two / 436 single occupancy. Booking is confirmed when full fee is paid. For a full refund of fees, cancellation must be made within 48 hours of booking and at least 14 full days prior to the first day of the retreat. For a 50% refund of fees, cancellation must be made 7 full days prior to the first day of the retreat. If the attendee cancels less than 7 days in advance or decides to leave early after arrival, the nights not spent are not refunded. 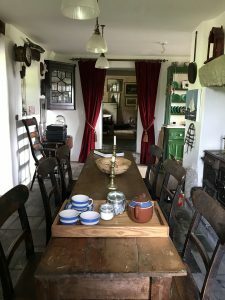 We can also offer a small number of non-residential places for the whole weekend, including lunch on Saturday and Sunday as well as tea and coffee on both days. 160 euros / 90 euros for one day only. Early Bird discount: 140 euros / 80 euros for one day only. For a full refund of non-residential fees cancellation must be made at least 7 days prior to the retreat starting. We know how hard it can be when you start out writing so we are also offering two scholarship places for students or those on a low income on non-residential places. The fee for scholarship place is 90 euros for the whole weekend Saturday & Sunday including lunch, but not including dinner or accommodation. Scholarship fees are non-refundable. To apply for a scholarship place, please email noelle.harrison5@gmail.com telling us a little bit about yourself and outlining why you would benefit from the scholarship. The deadline to apply is Friday 31st August. We do recommend applying as soon as possible. Crossdrum Lodge is situated just one hours’ drive from Dublin in County Meath, an area of natural beauty and historic significance. 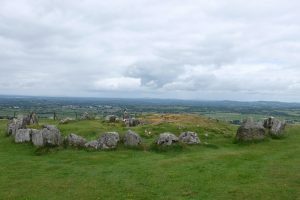 Our retreat is located just ten minutes away from the ancient megalithic burial chambers at Loughcrew, as well as Loughcrew House and Gardens. Other local sites of interest are Fore Abbey, Trim Castle, Mullaghmeen Woods, and many beautiful lakes. The town of Oldcastle is ten minutes away, with shops, cafes, and traditional Irish pubs. 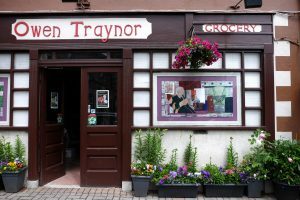 Owen Traynor’s Traditional Irish pub in Oldcastle.